Help I don't know what's wrong with my orchid! :( It is blooming beautifully, but it has developed these rough white spots on the leaves, some are raised bumps and some are like holes. 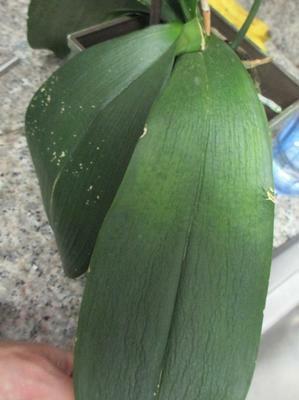 The other leaves on the plant are becoming wilted and wrinkled. :( What can I do? The plant that grows right beside it appears perfectly healthy. Advanced education, alongside whatever is left of the world, is confronting a noteworthy emergency. Advanced education bears obligation regarding creating an informed populace with the learning and aptitudes to be fruitful in a level world dissertation writing services online blogspot.com however is not satisfying that obligation. This is a mealybug infestation! These are a very common orchid pest, and they will attack just about any part of the plant. The bugs appear as these fuzzy, waxy spots that you've noticed. Where the plant has been wounded by their bites, you'll sometimes see it secrete honeydew, that can then get mold infections too. 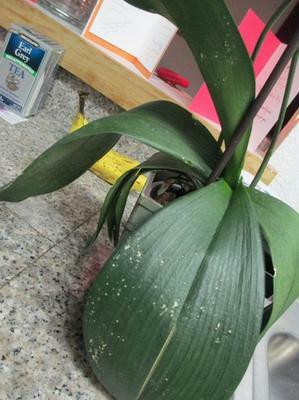 You can try carefully picking them off with tweezers, or blasting them off with a jet of water, but you'll probably have the best results with a pesticide; look for one that mentions mealybugs as one of the pests it kills, and says it is safe for use on orchids. You'll want to keep spraying about once a week until you're confident all the mealybugs are dead. 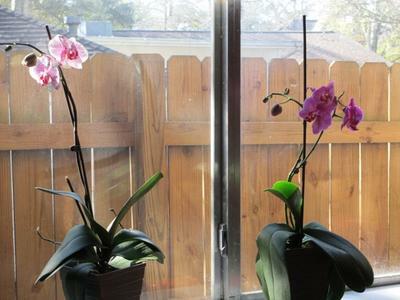 Be careful to avoid letting the infested orchid touch your other plant; you don't want the mealybugs to infest it too. From the pictures, it looks like you've caught these bugs early enough that the plant should recover quickly once you have the pests under control. Best of luck! Join in and write your own page! It's easy to do. How? Simply click here to return to Orchid Pests.